Put some Suitcase Glory in your life! 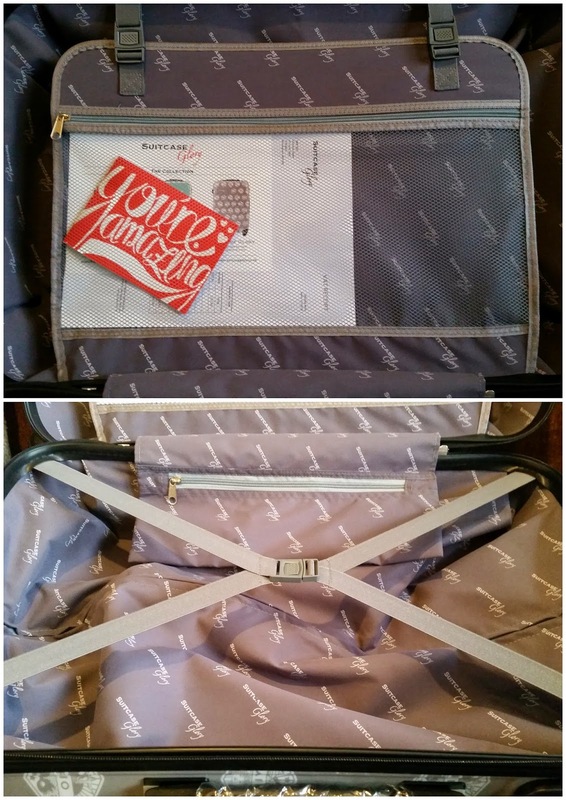 Throw out your old boring black or blue suitcase and join the revolution! Some people have some weird and wonderful ways of spotting their suitcase on the airport baggage carousel – ribbons, faded stickers, novel luggage tags. but that’s pretty half-hearted in my eyes. Suitcase Glory wanted more. I wanted more! Beautiful designs created right here in Britain. An injection of fun. A quality suitcase to be proud of. From the moment it arrived it screamed pure 'luxury' at me. It's boxed and wrapped beautifully in a 'Get some Suitcase Glory in your life' sack and comes ready to use. 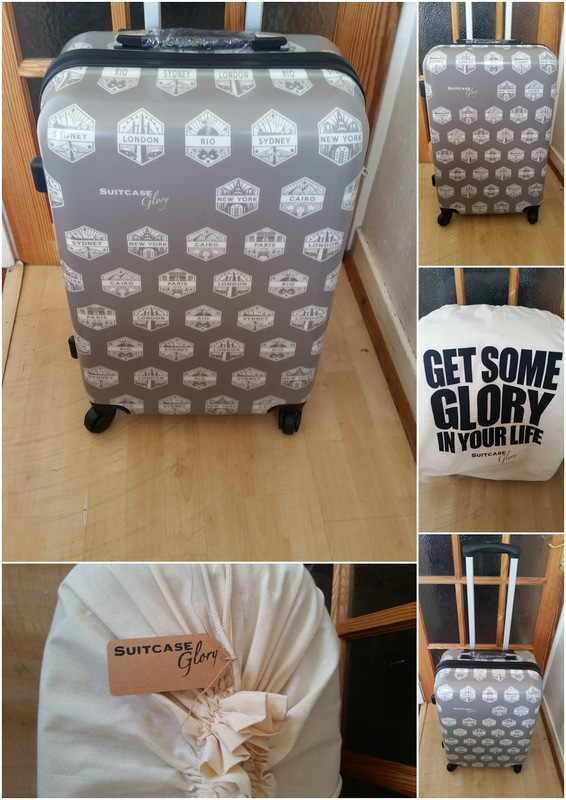 Check out my gorgeous new 'A World of Glory' suitcase', I think I'm in love! Taking you around the world one cool city print at a time. It's gorgeous on the outside and in. There's lots of little zip pockets and hidden compartments. There's straps to hold your clothes in place and separate sections to keep things sorted. Not only is this case really lightweight making it perfect for travelling but it's also really big inside making it the ultimate perfect choice for holidays. 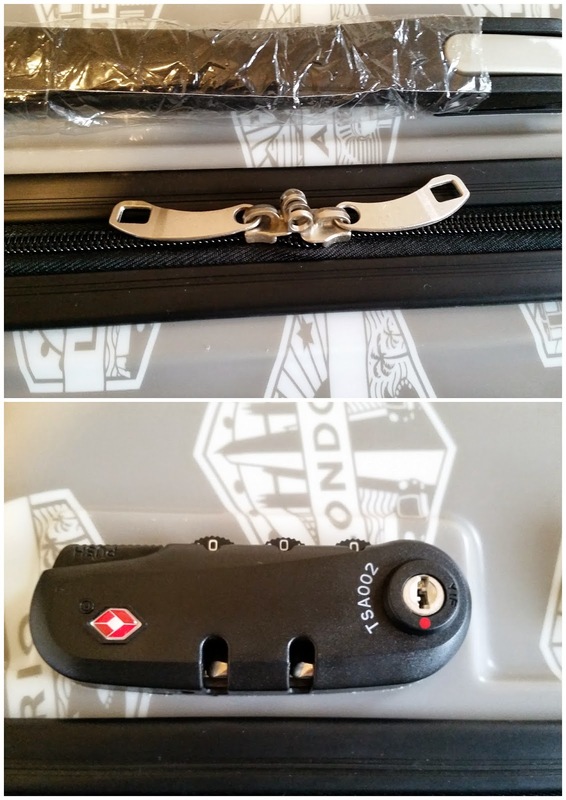 There's a code lock which you can set and a padlock space to lock the two zips together. No one would be getting into your case without your code combination or key. I really like the fact that it has two safety measures so if one fails you have a back up. My new suitcase and I are off to New York next month and I can't wait. When I'm standing at that airport baggage conveyer belt, I'm sure to spot this beauty a mile away. No more looking at tags or being unsure of which is mine, this year I'm all set for a quick and easy baggage pick up. I'm sure to have the prettiest case on the pile. Suitcase Glory have 3 designs available at the moment, each one is as unique and as pretty as the next. They cost a rather large £129 but should last for a long time. I can't wait to try mine out properly and fill it with all my holiday gear. 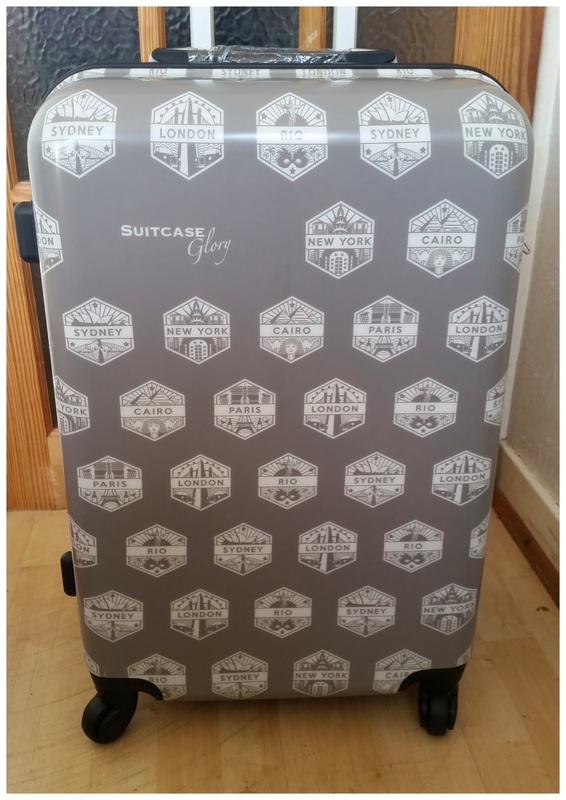 I'll be sure to tell you how I got on as soon as I get back, so do watch this space for an update but for now I'm totally in love with my new suitcase and I am so glad that I decided to put a little Suitcase Glory in my life. Disclosure: I was given a discount on my case in return for an honest review.